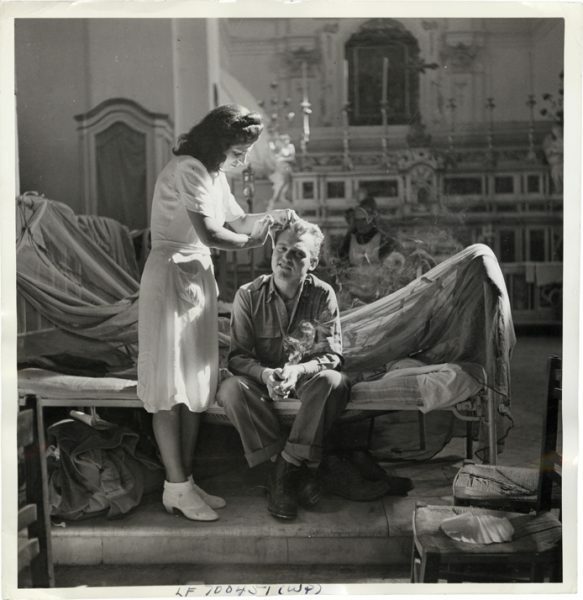 Daniel Blau presents an exhibition of works by renowned photojournalist Robert Capa. 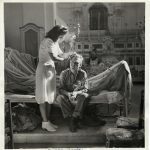 Capa’s documentation of conflicts including the Spanish Civil War, the Second Sino-Japanese War and the Second World War gained him a reputation as a skilled photographer with a humanitarian sensitivity to the costs of war. 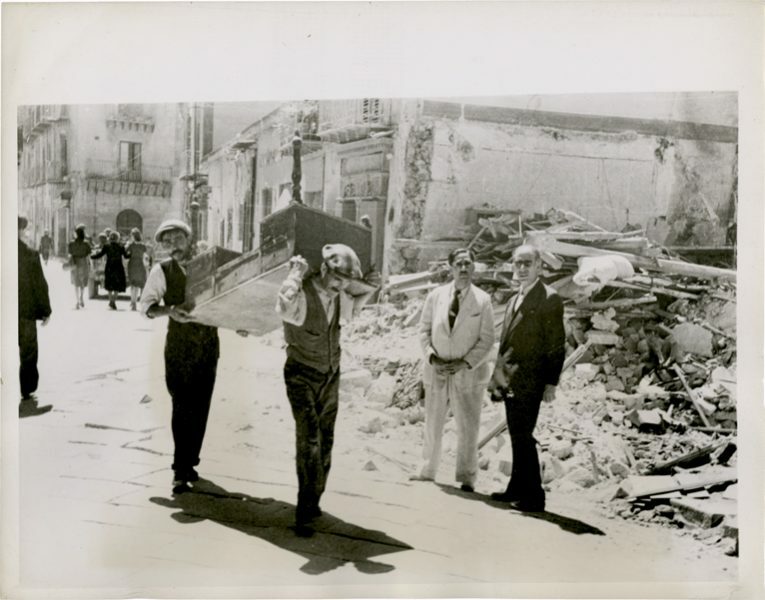 Capa was on the frontlines when the Allies freed Italy, beginning with Sicily in 1943, and our selection of pictures is taken from this particular moment of transition that saw the Germans retreating northwards through Italy. 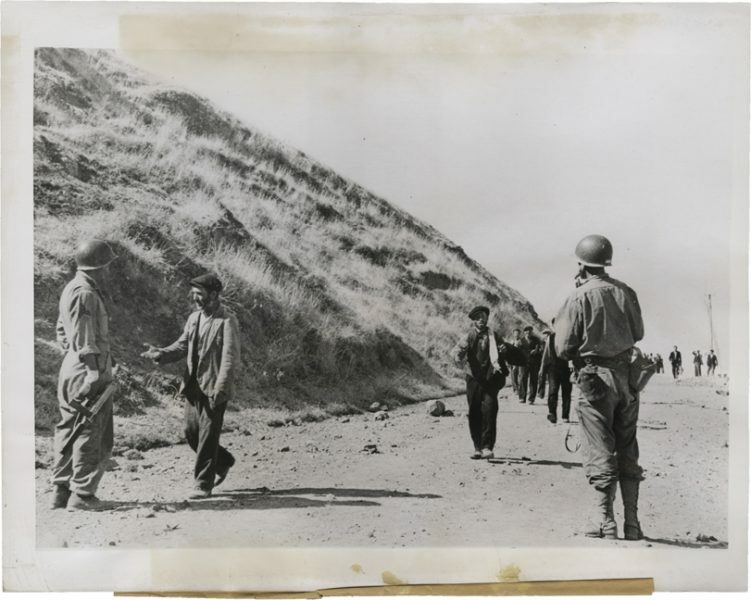 The photographer was present during moments of surrender and documented encounters between American soldiers and local people. 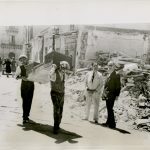 A powerful photograph of the aftermath of the Naples Post Office bombing, on view in our exhibition, encapsulates Capa’s ability to register complex events and the suffering of individuals within a broader narrative of unfolding conflict. 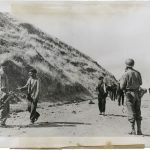 His compelling pictures illuminate the realities of war as experienced by civilians and soldiers and confirm his status as one of the foremost photojournalists of the 20th Century.